This bleak statistic exemplifies the threat to the Sea Turtle population around the globe. These incredible creatures have a lineage that can be traced back almost 110 million years! There are seven species of Sea Turtles that exist today and once existed alongside dinosaurs. They are beautiful and intelligent creatures that form a link to the Earth’s past. However, their populations are rapidly declining due to environmental threats and illegal poaching. In order for these animals to be protected, people must make changes to save the sea turtles and prevent their extinction. Sea turtles journey hundreds of miles in their life as they search out food and return to the beach to nest. According to the Defenders of Wildlife, female Sea Turtles actually return to the same beach where they were born in order to lay their eggs! They come to the beach at night and dig a nest for their eggs leaving them to hatch and journey to the ocean on their own. As Global Warming changes our Earth’s climate, it increases the temperature of the sand along the coast. The sand temperature affects the gender of the buried sea turtle hatchlings. Warmer sand produces more females which will lead to an uneven distribution affecting the species as a whole. Once the turtles hatch, they are easy prey for other animals, but there is also high risk of getting caught in garbage that has been dumped into the oceans. Oil spills and ever growing beachside developments are destroying sea turtle habitats and making it even more difficult for them to survive until adulthood. On average it takes a sea turtle between eight and twelve years to reach reproductive maturity. They have a long, perilous road ahead of them before these new hatchlings can contribute to an already decreasing population. In addition to the environmental threats, poachers pose a large problem for the species as well. There is a lot of money to be made in the business of illegal poaching which attracts many people to commit these crimes. Often considered a delicacy, poachers will comb the beaches at night to kill mother sea turtles and collect their freshly laid eggs. The turtles are eaten and their bodies are used for a variety of products. According to Sea Turtle Conservancy, many residents in Mexico also eat sea turtles during specific holidays. The week before Easter, throngs of people in Mexico will travel along the Pacific Coast to find meat from turtles as well as other sea food leading to the consumption of almost 5,000 sea turtles in just one week! It is difficult to prosecute the poachers and this has led to a lack of law enforcement allowing the crime to continue. There is also little awareness of the problem. All of these issues have compiled creating a large hurdle for the survival of these animals. However, a new approach the sea turtle conservation is offering hope and inviting tourists to take action. Puerto Vallarta is one of the most visited beach resort destinations in Mexico and is also a popular habitat for sea turtle hatchlings. This beachside community has initiated efforts to save the sea turtles and create favorable conditions to help them alive. The turtle conservation programs they have developed are also geared toward encouraging tourists to help. 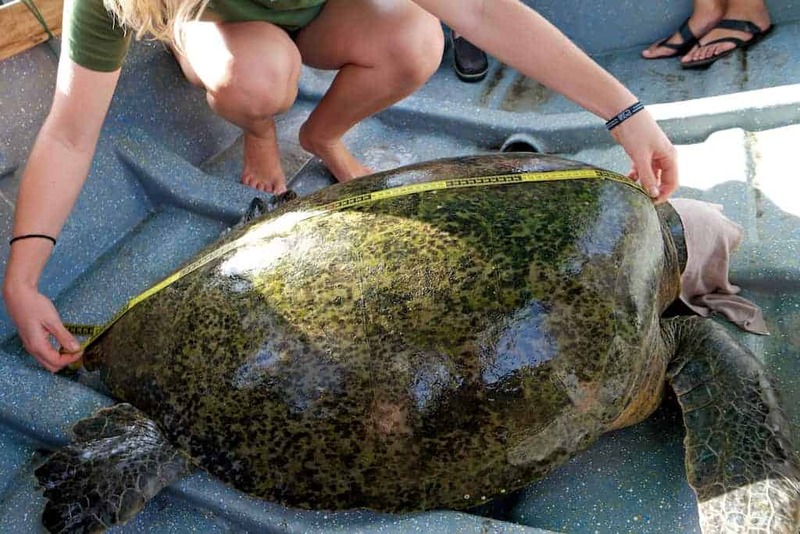 By taking advantage of the frequent tourists, Puerto Vallarta is aiding in the survival of sea turtles and educating the public about the growing danger to this species. 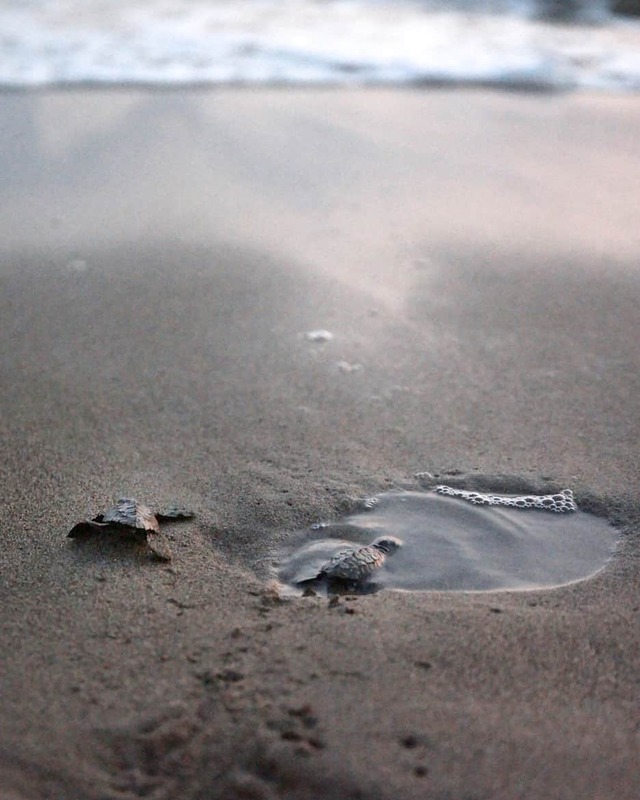 The Puerto Vallarta Sea Turtle Conservation Program was initiated in 1981 with many of the resorts now participating including the CasaMagna Marriott Puerto Vallarta Resort & Spa. You see, mother turtles crowd the beach at night to dig their nests. For hours they work to create a perfect area for their eggs, lay them and then return to the ocean that evening, leaving the babies on their own to hatch some two months later and follow the moonlight to the ocean. Sadly, much of the beachside developments interfere with the natural moonlight and confuse the baby sea turtles. Thus, the conservation program allows for wildlife professionals to collect the eggs to protect them from potential prey and keep them safe in hatcheries. Once they emerge from their eggs, the baby sea turtles are taken back to the beach and released into the ocean. With just over 13 years in the program, the CasaMagna Marriott Puerto Vallarta Resort’s efforts have resulted in the release of more than 370,000 turtles. And since their half mile stretch of beach seems to be a popular choice amongst mother sea turtles (about 30% choose to lay their eggs here), the resort also has it’s own on-site incubation nursery, the largest in the area with room for about 500 nests! Visitors that stay at the resort wishing to participate are allowed to aide in the release alongside the professionals, if the timing is right. They will be given an overview of the typical life patterns of sea turtles as well as a review of the types of environments that they will encounter in their ocean journeys. 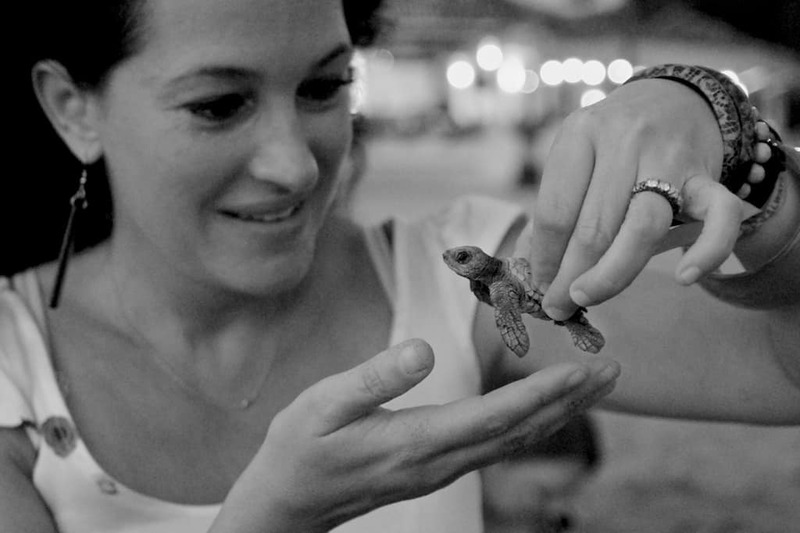 With a better understanding of the species, participants will then help release the baby sea turtles into the ocean. For children eager to participate, they are even allowed to name the baby sea turtles that they release. Wow! I had no idea that baby sea turtles were so vulnerable. Thanks for this post. I’ve never saw a little turtles going in the sea, I would love to see it. I love all your photos thanks for sharing us. Turtles are really cute, this is so heart warming. awww, they’re super cute! I’ve never seen one when we visited there last summer. I saw a documentary on sea turtles. I think it was on National Geographic or something. It is just amazing that these turtles lay their eggs in the same place where they were born! I agree that we should do our part to prevent these beautiful creatures from going extinct.